The HM Ambassador's reputation as the longest running car nameplate in the world is set to be maintained as the recovering Indian car maker prepares to launch a sub-4 metre version of the car. The HM Ambassador has been completely overshadowed by modern cars and it's mostly the politicians and taxi operators in smaller towns and cities who fuel sales. Except for being awarded as the "best taxi in the world" by BBC Top Gear a couple of weeks ago, the Amby has hardly had any high points in recent years. This is Shoeb's image of the new compact Ambassador variant. The vehicle in question began on-road trials over two years ago. 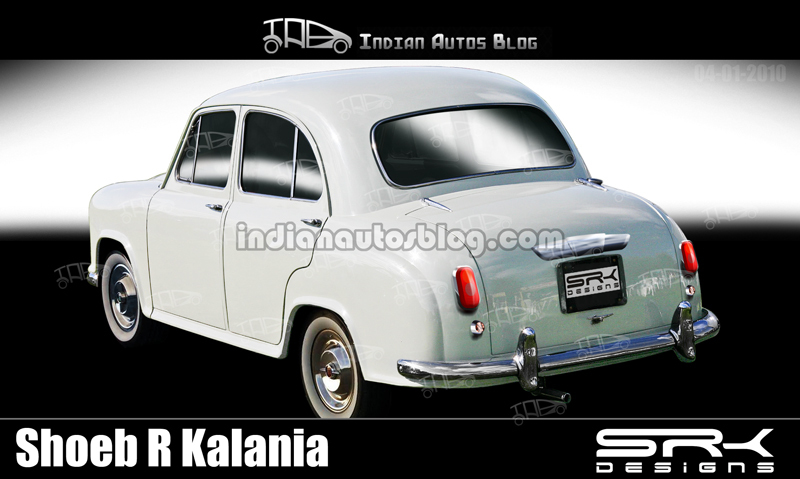 However, it seems Hindustan Motors is not done with the Ambassador platform. The company is working on a sub-four metre compact sedan to take advantage of the excise tax concession. The compact Ambassador which is expected to be launched by the end of this year will have its boot shortened and will offer more features at a lower price tag. The new model will be on the existing platform, but will have many new and advanced features that exist in other automobiles. It will have some prefix or suffix to the 'Ambassador' brand and will sport a peppy and youthful look. It will also have new features sought by young and modern customers and will be competitively priced, offering ideal value for money. 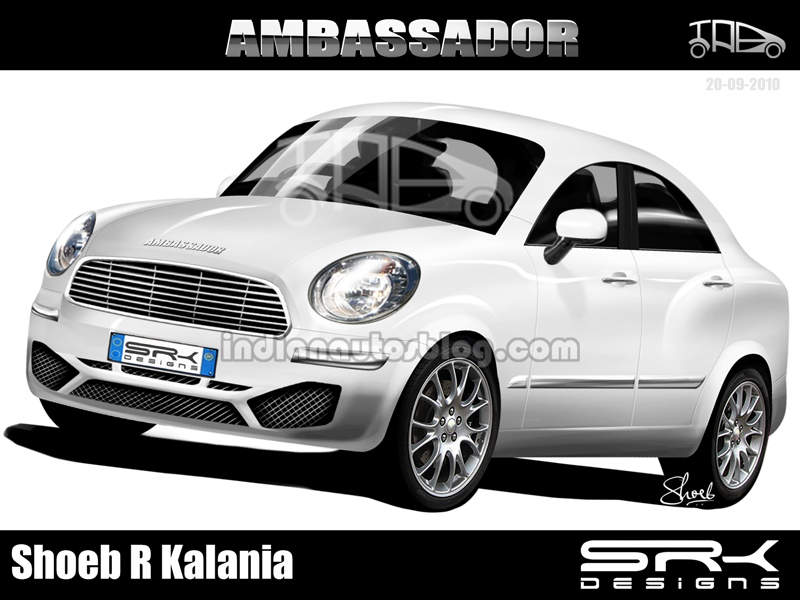 This is a purely imaginative representation of the next generation Amby from our in-house image manipulator Shoeb. If HM makes a retro styled Amby with new age technology (which we know is wishful thinking), it could be the Fiat 500/VW Beetle from the India auto industry. HM is also getting ready to export the old workhorse to Nigeria starting next month. The company says that orders for the car from Bangladesh, the second finalized export market, is also encouraging.